A border-crossing beer run has landed two Maple Grove bar managers in a heap of legal trouble. Beer manufactured by New Glarus is distributed only in Wisconsin. The company is not a licensed manufacturer of alcoholic beverages in Minnesota, so it’s illegal to distribute New Glarus beer to a retail establishment. Neither the bar’s manager nor Maple Tavern are [sic] licensed to transport or import the alcoholic beverage into Minnesota. The Wisconsin Department of Revenue received an anonymous tip about the alcohol-related crime and contacted Minnesota’s Department of Public Safety, according to the criminal complaint. Undercover officers visited the bar on April 13, ordered Spotted Cow from the tap and secretly tested the beer, which proved stronger than 3.2 percent alcohol. I should hope so. But why, exactly, is it illegal to transport Spotted Cow into Minnesota and sell it here? “While this is far from the most serious crime we’ve had to prosecute, businesses must follow the laws the legislature passes to make sure the competition is fair and the products are safe for consumers,” Hennepin County Attorney Mike Freeman said this afternoon in a press release. I think I understand the reference to fair competition. If one bar breaks the law by buying ten kegs of Spotted Cow and bringing it into Minnesota, and Minnesota drinkers really like Spotted Cow, then bars that obey the law may be at a disadvantage. But that doesn’t explain why it should be illegal to import Spotted Cow in the first place. As for safety, no one is claiming that Spotted Cow is unsafe. Presumably whatever safety inspections may be appropriate are carried out by the State of Wisconsin. Such inspections would not be duplicated by Minnesota in any event. 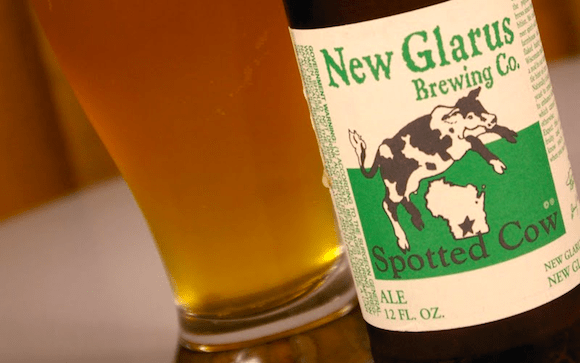 So what is the point of banning the importation of Spotted Cow? Worst of all is the fact that importing unlicensed beer is a felony. In Minnesota, a felony is defined as a crime that is punishable by at least a year in prison. Nowadays, it seems that almost everything is classified as a felony, but the idea of imprisoning the Spotted Cow sellers for a year or more is absurd. And of course, it won’t happen: more likely, the threat of imprisonment will be used to force the defendants to plead guilty to a lesser offense. One of the great evils of the modern administrative state is that so much conduct is illegal that just about anyone can be at the mercy of a hostile prosecutor. See, for example, Glenn Reynolds’ well-known law review article, Ham Sandwich Nation. It is time, I think, to let beer freely traverse state borders. Instead of the case of the Spotted Cow, Minnesotans should be able to enjoy a case of Spotted Cow. UPDATE: From across the St. Croix, Right Wisconsin wonders, “Why is Spotted Cow illegal in Minnesota?” The answer has to do with longstanding, intensive regulation of liquor sales. Such regulation has more to do with limiting competition than protecting the consumer. First they came for the Spotted Cow, and I did not speak up. Then, they came for the Point Lager, and I did not speak up, as I was in the bathroom. Then, they came for the Leinenkugel, and I was too drunk to speak up. Then, Bloomberg was elected, and they took away my Big Gulp and my pickled eggs. All I have left are some carrots and my memories of the America that once was….